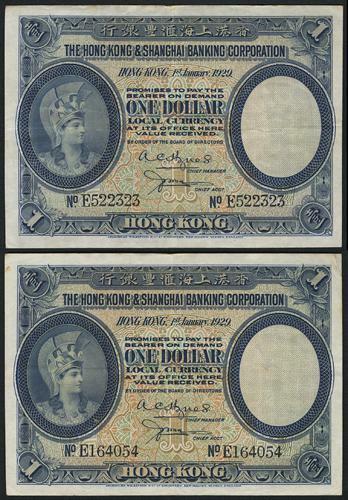 The Hong Kong and Shanghai Banking Corporation: 1929 $1 x 2 (KNB59b), serial nos. : E164054 and E522323. Both Very Fine.